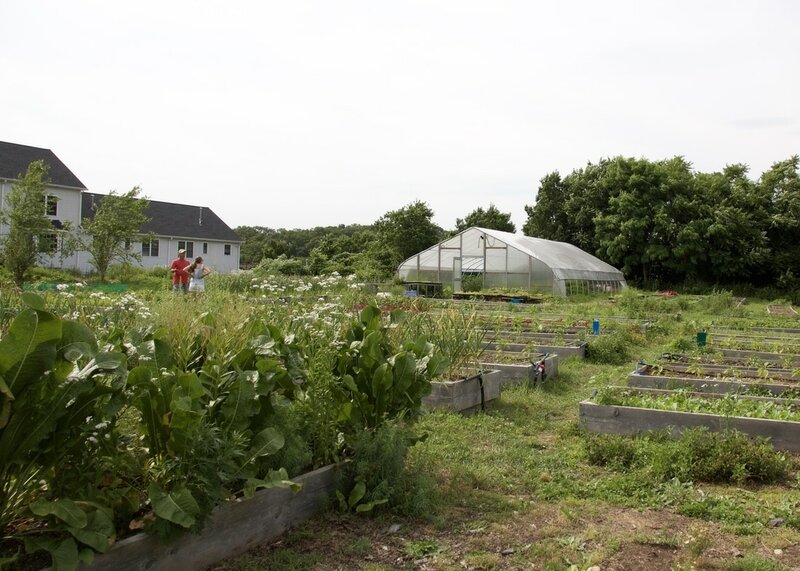 Reservoir Community Farm (RCF), under the Green Village Initiative, is an urban farm in Bridgeport that offers fantastic resources to the community. Residents can participate in workshops and volunteer to learn about growing fruits and vegetables. The farm is also an educational site for their Youth Leadership Program and school field trips. Fresh produce is grown at RCF without the use of pesticides, then sold at affordable prices at their farm stand on Thursdays and Saturdays (SNAP benefits are doubled here!). On the last Thursday of each month (June through October) RCF partners with SNAP4CT and Chef Raquel from A Pinch of Salt to hold Community Nights for families in the area. Here you'll find cooking demos, nutrition games and info, gardening activities, snacks, and giveaways. Get more information about the next Community Night from our Facebook page. For more information about Reservoir Community Farm, visit their website.